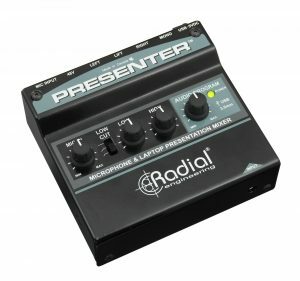 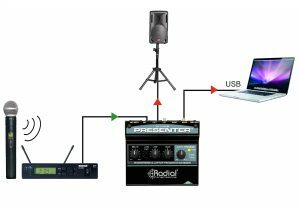 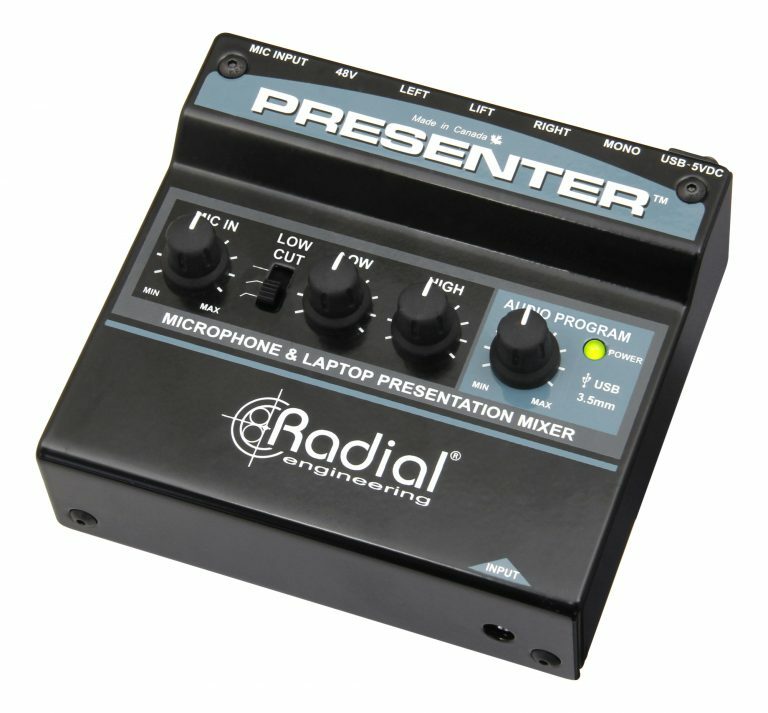 The Presenter is a compact mixer that combines a microphone preamp and a USB program input to create the ultimate interface for any presentation, from school lectures to corporate audio. 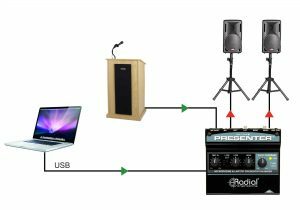 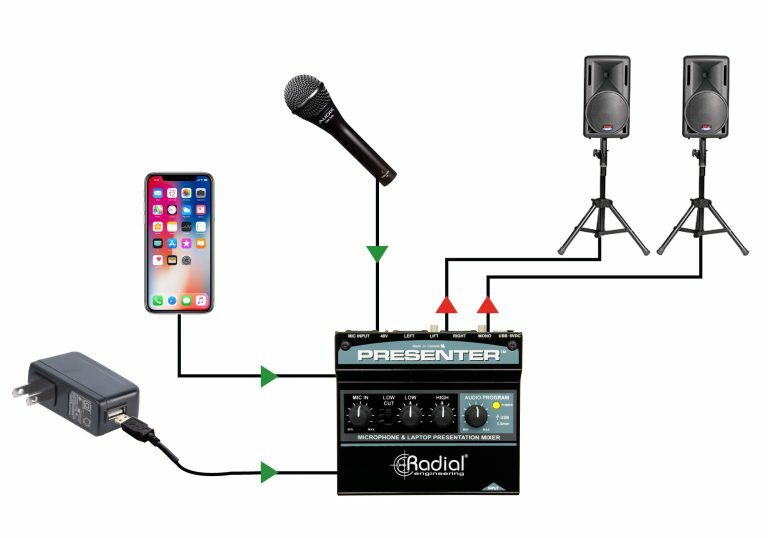 Connect your podium microphone to the XLR input of the Presenter and engage phantom power if needed. 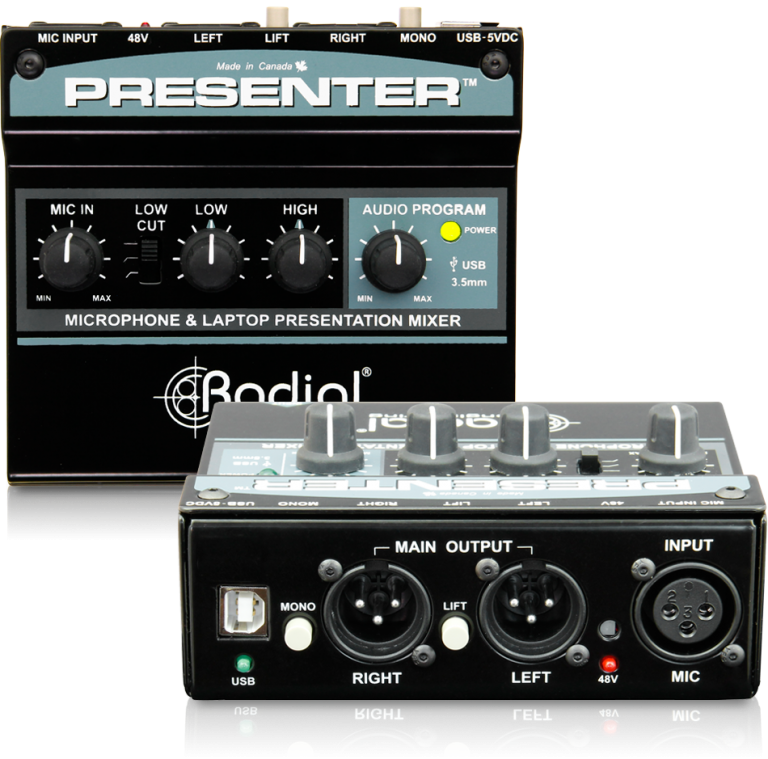 The Presenter is powered from the USB port on your laptop and allows you to play high quality digital audio files through a pair of powered speakers. 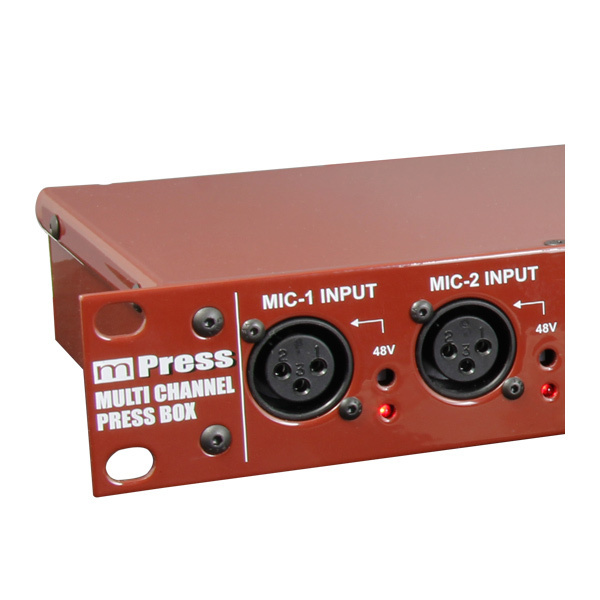 Use the EQ controls to tailor the frequency response of the microphone to the room. 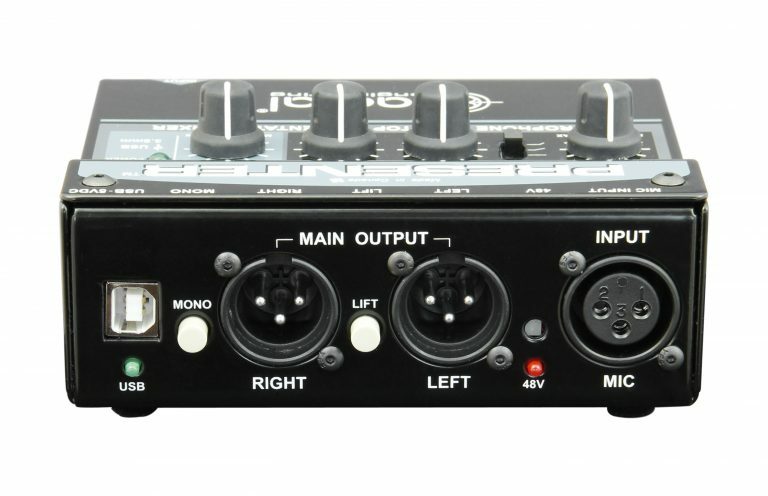 Send your music playlist to the PA using the 3.5mm input to play back from your smartphone or tablet. 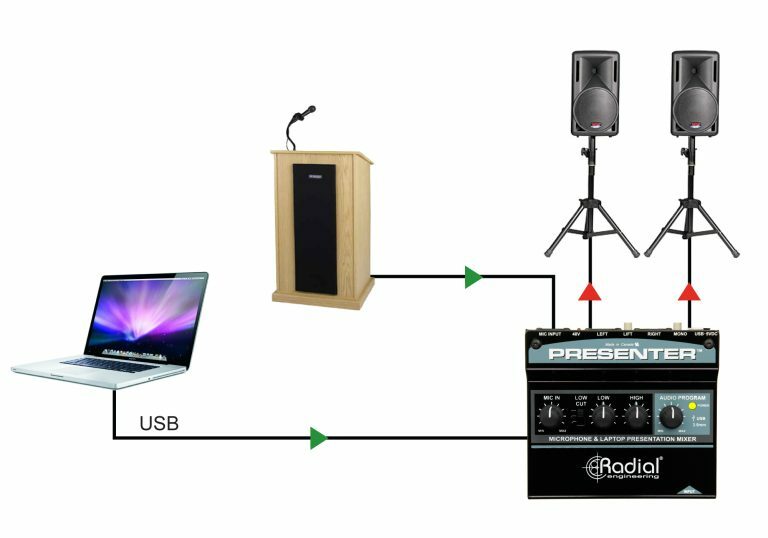 When it comes time for speeches, simply turn up the microphone level and you’re ready to go. The Presenter can be just as powerful even if it’s located off to the side of the stage. 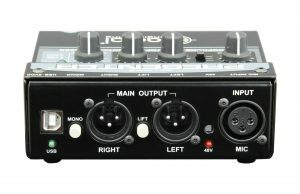 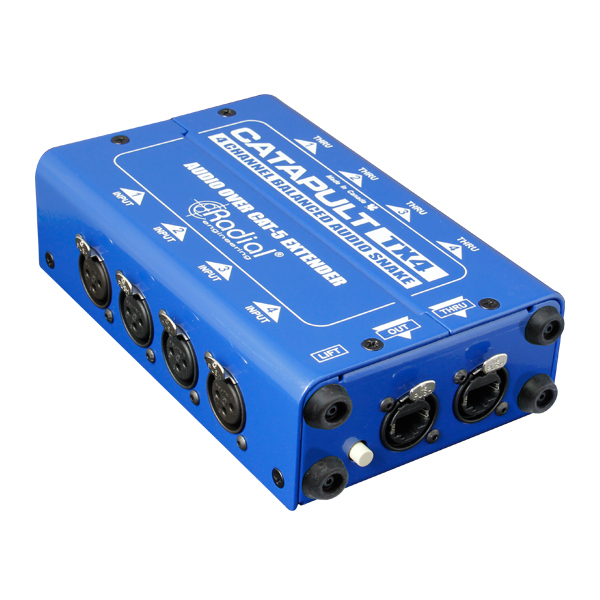 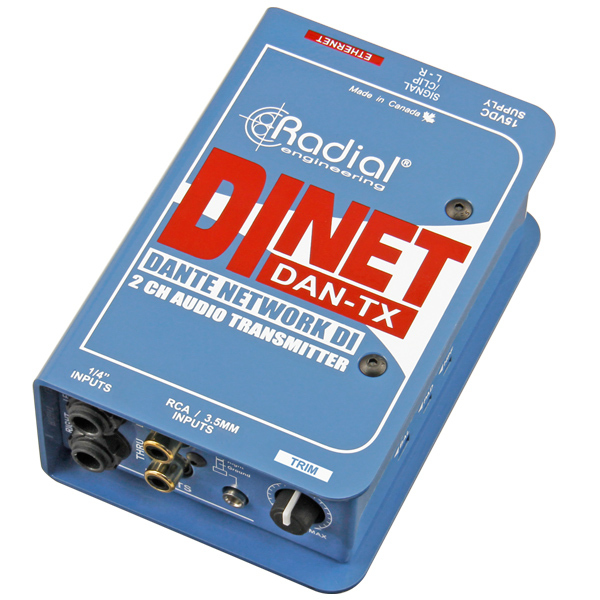 Connect the output of the wireless microphone receiver to the XLR input and set your levels. 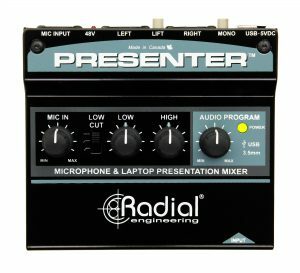 If using a single powered speaker, press in the MONO switch on the back of the Presenter. 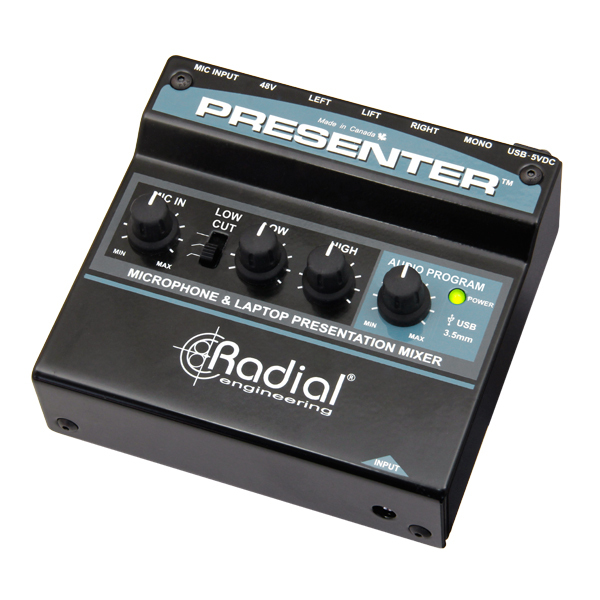 The Presenter can also function as a microphone preamp and USB interface for recording podcasts or making high-quality VoIP calls. 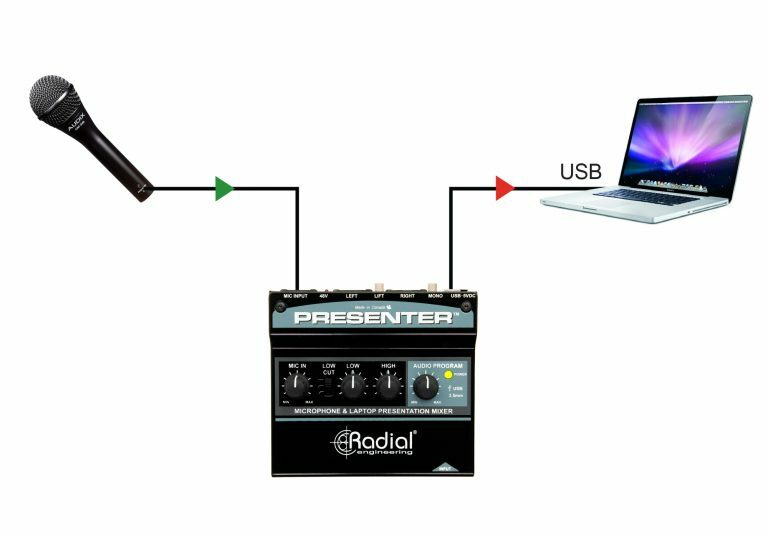 Connect directly to your computer with a USB cable and select the Presenter as your audio input device to get started.